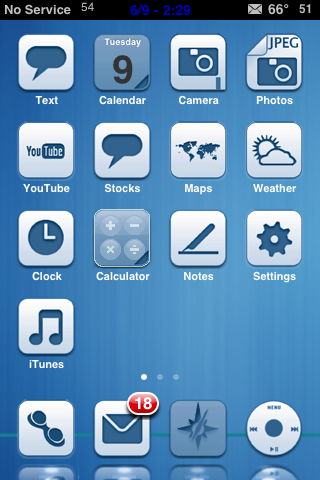 Sobrys is a WinterBoard theme that contains 43 icons, a dock, wallpaper, statusbar, lockscreen battery, sliders and iPod mod. 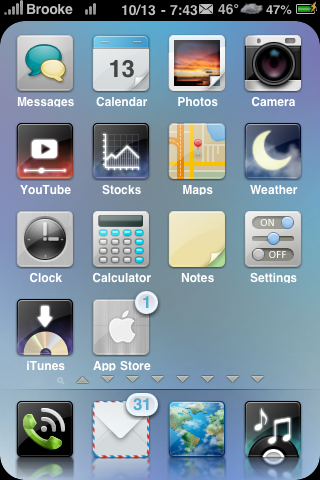 Like the majority of themes, this theme is not packaged exactly correctly which means, in order for the theme to display correctly, you will need to ssh into the Library/Themes/Sobrys/Icons folder and change the Ipod.png to iPod.png. Also, there is no Messages/Text icon. 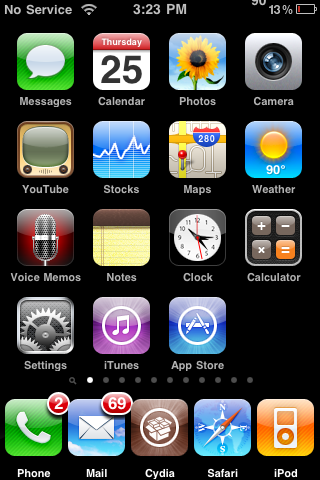 I changed the Chat.png icon to Message.png so that I would have an icon for the stock Messages application. You can get Sobrys via the iSpazio source. 3. 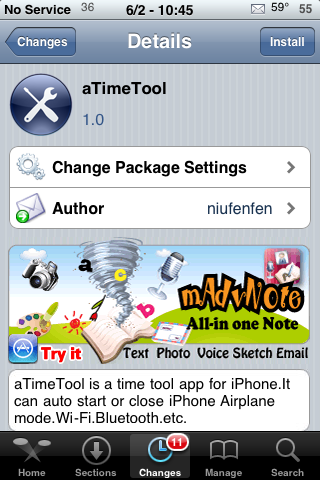 Search for Sobrys in Cydia, run the install. 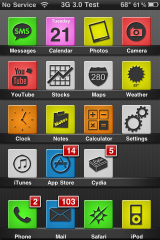 oGn v3 is a colorful theme that contains 875 square icons, wallpaper, dock, status bar, badges, sliders, SMS bubbles and a few other cool little mods. You can get oGn v3 via the iSpazio source. 3. 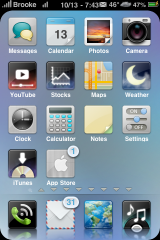 Search for oGn v3 in Cydia, run the install. 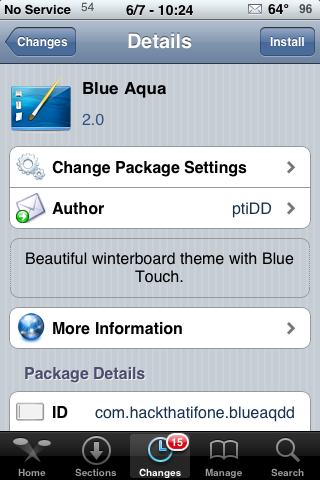 BlueAqua is a clean theme that contains 45 icons, a dock, a wallpaper and a Weather App theme. As much as I really do like the icons for this theme, I have a few qualms…the Mail App icon does not display correctly without some SSH work, I’m not big on the blue font on the status bar and the Weather App theme doesn’t match the rest of the theme. 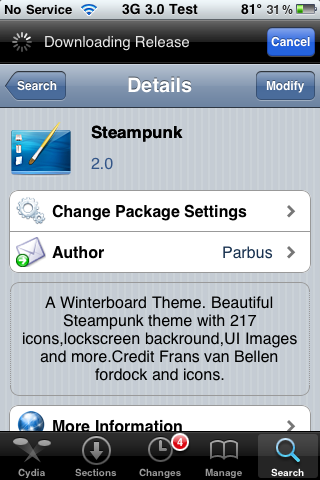 But, if you are looking for some decent icons, you might like this theme. 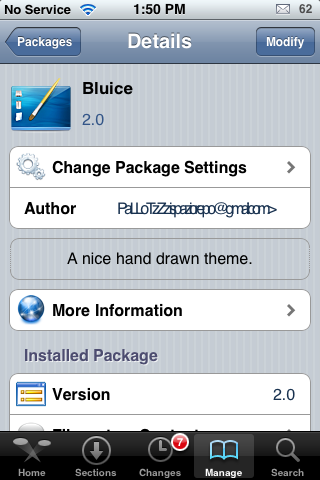 You can get blueAqua via the iSpazio source.